I’ve been obsessed with Paul’s Boutique bags for more than 4 years. If you don’t know, it’s a famous UK highstreet brand that does amazing faux leather bags. You get a great quality bag for around $100. I own a couple of their bags, but Maisy is my favourite so far. I recently got another Maisy. 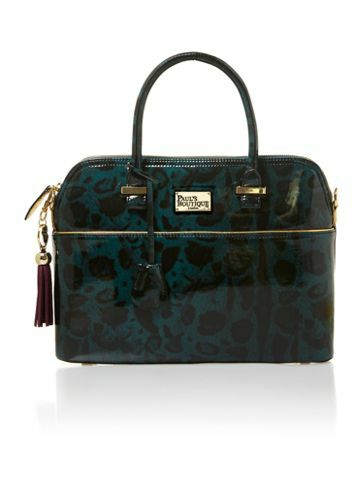 It is beautiful dark green color and has leopard print all over it. I love the combo of gold, green and leopard and it is perfect for Fall and Winter. I also got a matching wallet, because my old one was ruined. I usually get my PB bags from Asos, but the official Paul’s Boutique website also has international delivery now. Speaking about these two beauties I found them at House of Fraser and they were on sale. The bag was around $65 and the wallet – $40. They also have different colors of these bags.